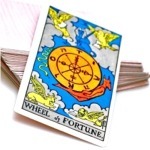 As a professional Tarot Reader and writer for many National Magazines Tilly performs Genuine, Honest Psychic Tarot Card Reading's for anyone who wishes to know more about their lives. I have been practising this ancient divination tool of Tarot since the age of eight and professionally from since I can remember with astounding results. Now I read the cards here online to help reveal what adventures lies ahead in your life. I really wanted to incorporate my true beliefs and interests by helping people without charging the earth. By giving up a little time during the day to glimpse into the future at someone else's life is truly an insightful and rewarding experience that is like nothing else on earth. 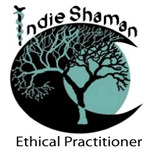 With now regular returning customers all over the world from New York to Australia, Japan, Spain I hope to make a positive difference to absolutely everyone that I connect with. I wish to provide you with the most honest and open tarot reading that I can so you can plan for anything that comes along in your life. Thank you for reading this page about me and I look forward to connecting with you during the personal Psychic Tarot Card Reading. Let me perform a Psychic Tarot Card Reading for you Today… whatever is on your mind, the Tarot will help guide you onto the right path. Intuitive, naturally gifted Tarot Card Reader.